1. The origin of the game of rummy is disputed. 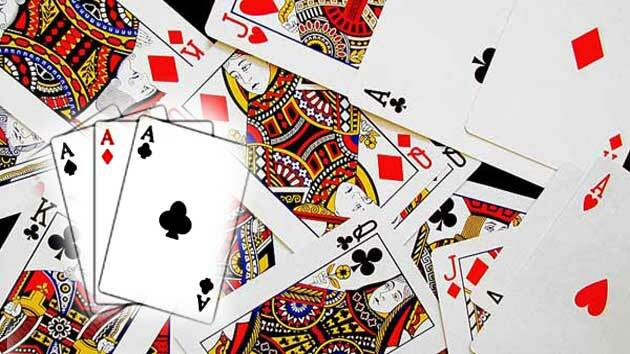 Some people believe that rummy originated from the Spanish aristocratic card game called Conquian. Others believe that it originated from French Poker. Then there are many who argue that it was derived from the Chinese game Mahjong, which was played with tiles instead of cards. 2. The name rummy is believed to have been derived from Rum Poker. In the UK, Rum is slang for peculiar or odd. Another funny fact is that the game used to be played for rum where the loser had to buy drinks for the winner after a game. 3. A study has found out that rummy players have better hand-eye coordination, a better understanding of mathematics and improved visual judgement. 4. Apart from improving your cognitive skills, the game also helps you become a people reader, as it requires a deep analysis of the gestures, stances and minds of the opponents. 5. More than twenty variations of this card game are in existence. Some widely popular variations are Indian Rummy, Gin Rummy, Kalooki, and Three Thirteen. 6. Some people say that Bridge and Pinochle are also derived from rummy. This makes people consider rummy to be the mother of all card games. 7. There is a record of a win by the highest margin of 500 points. No player has yet been able to break that. 8. Traditionally, rummy is a family game or social game with the duration of board games and card games combined. Being a game that involves a number of players, rummy also develops a sense of community in players. 9. Even playing rummy with real money is not gambling because the outcome of the game depends mainly on the players’ skills and strategies rather than just luck. This is why the game is legal to play with cash in almost every country. 10. Rummy is also a source of income for many people across the world. Since the game is legal to play for stakes, the money earned is not at all detrimental to the culture of society. Free rummy games are now offered online by a number of secure and trusted gaming sites and online rummy is a great way to earn some serious cash in a safe manner. As players need practice to hone their skills and become a pro in this game of skills, some websites offer free games too for practice. So if you want to hone your rummy skills for free, play rummy online, a great way to practice the game without losing any money.